Did anyone else just love the chemistry between the two male leads? 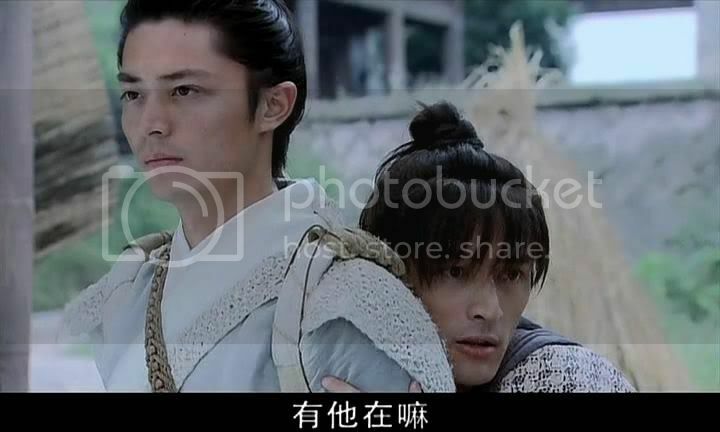 I loved the scene where Changqing was near death after beaten up by ChongLou and Jing Tian does everything he can to bring him back to Shu Shan. It was the first time we saw this more serious side to Jing Tian. Yes, i agreed. Both of them are soo funny together..
i know what the white part meant but what about the tofu? Yeh, JingTian started off teasing everyone from ShuShan as "white people" because they dressed in white from head to toe. He later starts calling Changqing "White Tofu" even though he's not the only one ^^; Later he sometimes wears brown and purple as well but the name doesn't change, hehee. oh..yeah..i thought that one of chang qing brothers were cool..how he had the device to track everyone..